Do what the Romans, or in this case, the Germans do. After the other luxury car brands started the year with heavy discounting, Jaguar Land Rover is now doing the same. Experience luxury and performance at its finest while savoring savings of up to P 750,000. 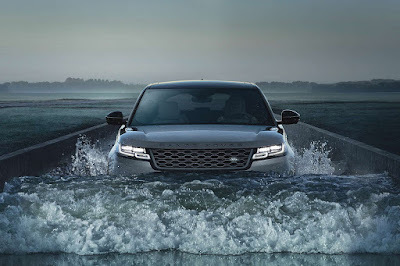 All British Cars, the sole authorized dealership for Jaguar and Land Rover vehicles, parts, and accessories in the Philippines announced that they are slashing prices off the model range until the end of the month. Embodying the true art of performance, Jaguar offers as much as P 500,000 off on the luxury sedan XJ while other huge discount schemes are also offered on its award-winning SUV, the F-PACE. Meanwhile, Land Rover also offers attractive discount schemes on select models of its iconic SUV line-up. The Range Rover Autobiography comes with a discount of as much as P 750,000 while the popular Range Rover Vogue has a discount of as much as P 500,000. Great discounts also wait customers of the Range Rover Velar and Land Rover Discovery Sport. Visit the brand-new Jaguar and Land Rover showroom at 1008 EDSA Greenhills, San Juan City and schedule a test-drive of their vehicle of choice, or call 63 2 784 5003 for more details. Promo runs until January 31, 2019.